Meet father and daughter team Hazel and Bello. Bello is the master carpenter of NVC’s livelihood projects, the man behind our bestselling folding tables and other beautiful, handcrafted furniture. 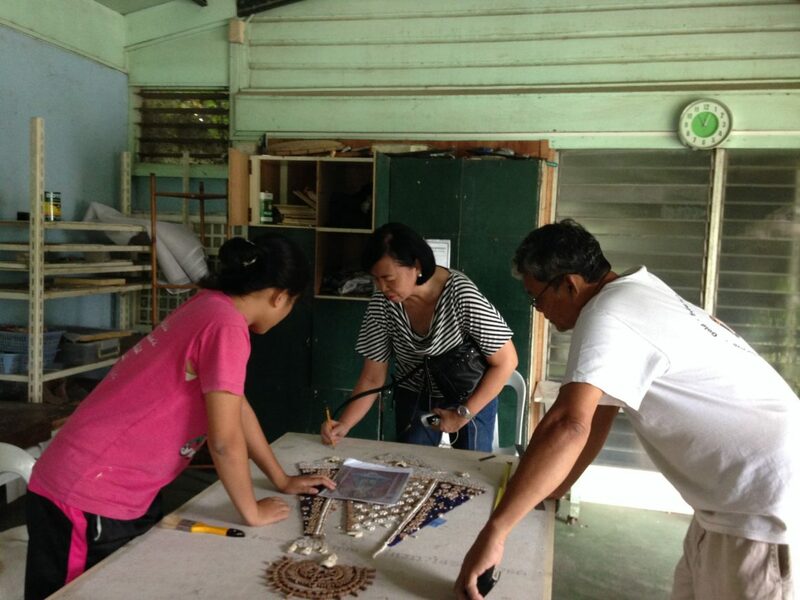 His daughter, Hazel, is a fine arts student and is one of our artisans. Bello and his wife, Hermie, were originally hesitant about Hazel’s chosen course because its many art projects rack up a lot of additional expenses besides the tuition fee. They were also worried about Hazel’s ability to earn a living after graduation. But they’re now convinced that Hazel’s passion and talent for art will see her through. With her Merchants of Hope commissioned pieces, she now earns well as even a working student. 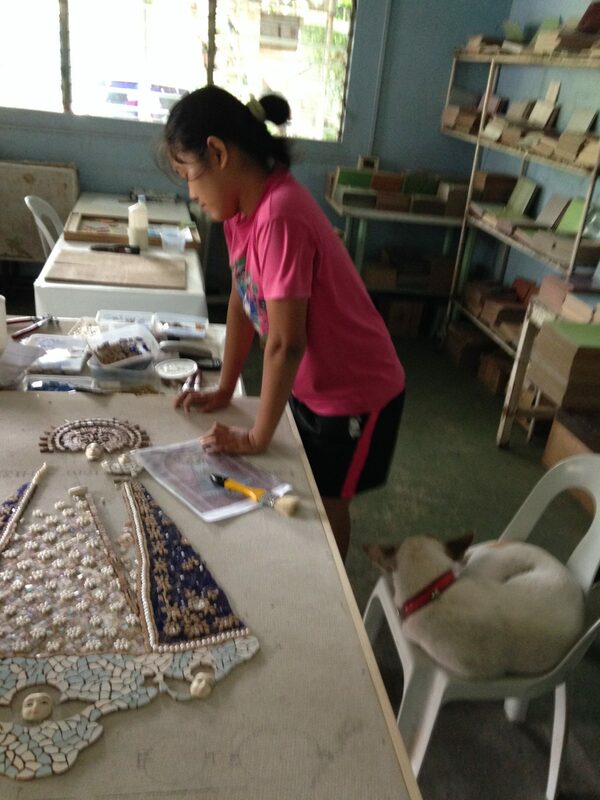 As a mosaic artisan during summers and weekends, Hazel is able to pay for her own art projects, equipment, and travel expenses to and from school. Each Merchants of Hope piece that you buy helps parents like Bello take care of their families or working students like Hazel discover their talents and aim higher in life. It’s a dog’s life! While Hazel is reviewing her work, a pet dog steals her seat and takes a nap. And here, finally, is the finished mosaic piece! 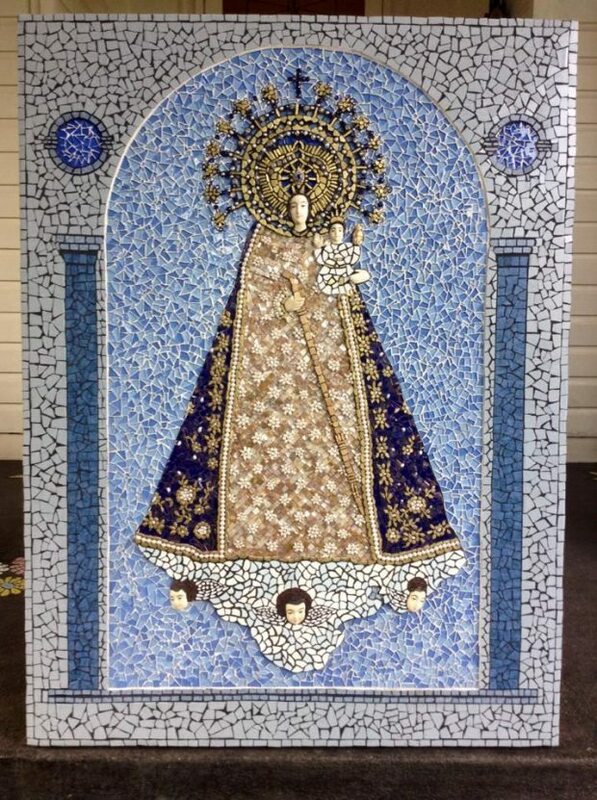 A 3 x 4 ft commissioned piece of Our Lady of Manaoag.